This evening, over at Rene Tyree's fine Wig-Wags blog, I read a little mini-review of Amazon's new Kindle 2 device, which only cemented my intense interest in one. My wife never reads this blog, so I can casually admit that I have been planning to purchase the Kindle 2 (now priced at $359) since the first announcement, but in good conscience have to pay a couple bills first, like the overdue registration on the family vehicle. The design looks superb, and it sounds like they've really tweaked the features nicely since the first iteration. Like most people reading this blog, I love the feel of a book—in fact, love to line the walls with them—but I love gadgets, too, and this is a gadget with books inside it. If I may quote Liz Lemon on 30 Rock, "I want to go to there." I am one of those ridiculous people who frequently carries 2 or 3 books to work and back every day, with another little mini library in the back seat—just in case I have 30 minutes over lunch to read, I want to make sure the right book is on hand. Of course I never read books at lunch time. Ever. Instead, I spend those precious minutes reading print-outs of favorite columnists and blogs. But if it were that convenient to carry 3 or 4 books wherever I went (to say nothing of dozens), I would delve into one with even 10 or 15 minutes to spare. And there's the beauty of the Kindle—you can have a number of current books at hand, and your full complement of blogs and online newspapers and magazines—all packed into one handy device. Some have criticized it as another dagger in the heart of the publishing industry (just as Amazon itself is a sword to the neck of independent booksellers). I think there's some truth to that, and it saddens me—and alarms me, since I work for a publisher—but, Dylan was right, the times they are a changin'. The publishing industry, with some exceptions, is in dire straits, and the daily news seems always now to contain one story on the demise of books. Last week, the new issue of Harper's arrived with its cover story on "The Last Book Party, Publishing Drinks to a Life After Death," and a couple days ago the local paper, the San Francisco Chronicle, ran a death knell piece entitled "Book publishers, R.I.P.? In this economy, it's tougher than ever to sell books." Yesterday the Chronicle—the 12th most-read paper in the country—announced that they would cease publication if they could not get major labor concessions, or a buyer. Today, we hear that the Rocky Mountain News is shutting its doors. It's a sad thing to behold. But the dissemination of information is not dying, it's growing exponentially. The publishing industry is going through a metamorphosis, and nothing is going to stop that. Still, I don't want to read books off an electronic reader at home. I want to read a book. I like the fact that I can conduct searches in the Official Records online, then pull the relevant volume off the shelf to read in a comfortable chair. And though I'm guilty of letting my newspaper subscriptions lapse in favor of free online content on a 20" iMac screen, I still purchase papers on the street, if only to have the sports section while I eat a sandwich. Books aren't going away anytime soon, but the traditional models for printing and selling them are giving way to something new. The company I work for is among the trailblazers in that brave new world, with innovations like iChapters—the textbook publishers answer to iTunes. I think some Science Fiction visionaries get it just about right. In "Star Trek, the Next Generation" (since I'm already married, it is safe to make a Star Trek analogy), all manner of data is online and instantly accessible on servers with unlimited space and terminals in every room, but when Captain Picard wants to relax in his quarters with a little Victor Hugo, he pulls a leather-bound volume off the shelf. It might be a print-on-demand leather volume, but there will be always be a model to accommodate printed copies of something you want to read. The Kindle looks to be perfect for day-to-day outings. Since it also can read to you, we have—as far as I know—the first scenario in which you could read a chapter of a book during some daily downtime, then have it read aloud to you while you're driving home—as an audiobook—then pick up your reading where you left off when you head off to bed that night. You can switch between print and audio—maintaining a steady progression through the book in your limited free time. Is it just me, or is that a major breakthrough? We have so little time to read these days as it is. It's ideal for little outings where I find myself with some time to kill, ideal for the train, ideal for airplane trips—where I could pack books, magazines, and blogs into a single tablet. That will free up space in my carry-on for whatever obscure Civil War book I'm reading, which probably won't be available as a Kindle download. Funny, I never had the slightest interest in early versions of electronic readers, but this one is cool. Backlighting that gives the appearance of a regular printed page is everything. I see that it already accommodates MP3s, but I hope that it remains a dedicated device for reading (seems inevitable that they'll add email and internet access at some point). Already, Amazon has said they'll have an App for the iPhone—also a neat idea, but I won't read a book off a small screen. Since "Bibliophiles" is in the title of this blog, I hope you'll forgive this little digression into gadget-lust. 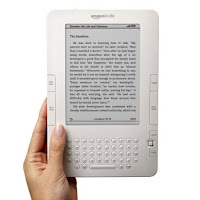 February 27, 2009 addendum to the above posting—Kindle controversy: Civil War Bookshelf made mention of the Author's Guild objections to the Kindle 2, expressed in a Roy Blount, Jr. NYT editorial, and this Business Week rebuttal. 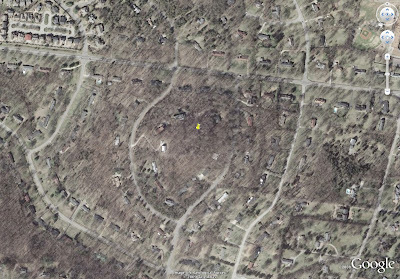 A little over a year ago, I posted a series of photos from Google Earth—satellite views of Civil War battlefields—and invited people to try to identify as many as possible. If you missed it, the Quiz can be found here. And the answers to the Quiz are here. It's a very different perspective than you're used to, but many of you are so oriented toward maps in studying Civil War battles, the topographical clues soon lead to recognition. I had planned to do a second quiz long before now, and the good people over at TOCWOC put it back into mind with their posting of coordinates for various battlefields. For Quiz Number Two, I've given you six photos of battlefields already lost to development. This makes it a little more challenging, since familiar battlefield landmarks are non-existent. To aid your efforts, I've given you additional (easy?) clues in the accompanying captions, including whether it's Eastern or Western Theater, and some modern roadways. If you're a veteran of organized Civil War campaign tours, some of these should jump right out at you. Of course, if you live in one of these areas, that should help too. Repeating a passage from the last time around: Post your answers as comments to this blog entry, and in a day or two I'll identify each image, and post some maps and other photos to show how the fighting transpired, or how the troops were aligned in these landscapes. I'll also heap plaudits upon the winner, if there is one. 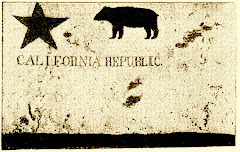 Click on each image for a larger view. Good luck. No. 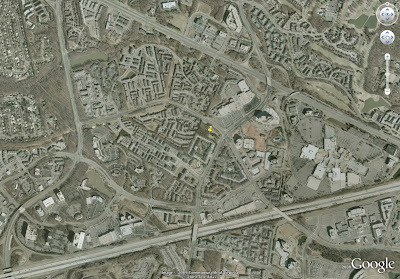 1: The tiny yellow pushpin in the center shows all that's left of this Northern Virginia battlefield. The large diagonal road above is U.S. 50. The large diagonal road below it is Interstate 66. No. 2: The pushpin in the center denotes the site where a Union general was killed in a western battle. 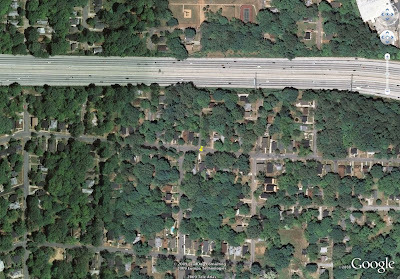 That big road, Interstate 20, was not there at the time—Sherman could have made good use of it. No. 3: On this Tennessee hill, the Federals broke through the Confederate left, and it was all downhill for the Rebels after that. The hill was renamed for a Confederate Colonel who died there. No. 4: The fort on this site was at the center of the Confederate line in a June, 1864 battle. Federal troops under David Hunter failed in their hours-long assault against this position. 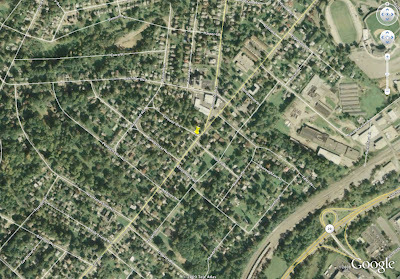 I've left the road names visible, guessing that most people are not that familiar with this neighborhood. Note some of the street names: Pennsylvania, Rhode Island, Connecticut, Vermont, New Hampshire. Cruel Reconstruction joke? No. 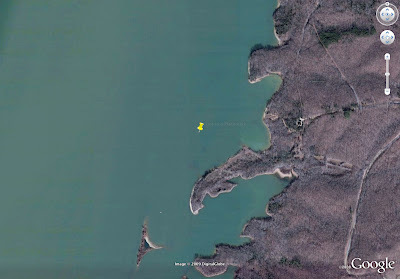 5: Federals in the Western Theater captured this Confederate fort, which is now home to the fishes. It was wet at the time of the war, but not this wet. No. 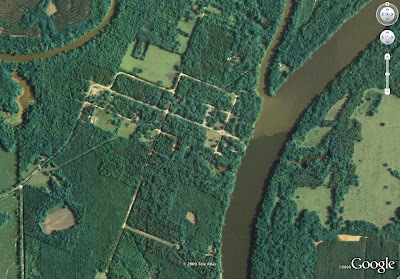 6: Now a historic ghost town in the Deep South, somewhere near the center of this photo is the site of a POW camp for Union soldiers, whose misery was compounded every time the river left its banks. Conan O'Brien called this one his favorite piece from his long-running "Late Night" show, a visit to the Old Bethpage Village Restoration on Long Island where people play "old time base ball," 1864 rules. Watch as Conan talks trash with the players of the day, and makes his move on a Civil War wife whose husband is off at war. The calendar at Old Bethpage Village lists a number of baseball games this coming June and July, for anyone interested. Happy Birthday to two towering figures. . .
the following snippet is from "Who was more important, Lincoln or Darwin?" 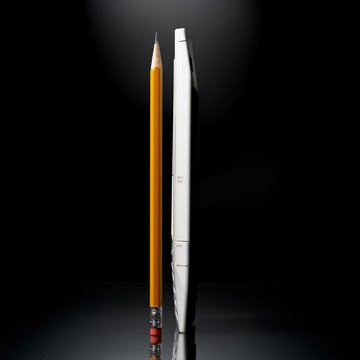 by Malcolm Jones, Newsweek, July 2008. As soon as you do start comparing this odd couple, you discover there is more to this birthday coincidence than the same astrological chart (as Aquarians, they should both be stubborn, visionary, tolerant, free-spirited, rebellious, genial but remote and detached—hmmm, so far so good). Two recent books give them double billing: historian David R. Contosta's "Rebel Giants" and New Yorker writer Adam Gopnik's "Angels and Ages." Contosta's joint biography doesn't turn up anything new, but the biographical parallels he sets forth are enough to make us see each man afresh. Both lost their mothers in early childhood. Both suffered from depression (Darwin also suffered from a variety of crippling stomach ailments and chronic headaches), and both wrestled with religious doubt. Each had a strained relationship with his father, and each of them lost children to early death. Both spent the better part of their 20s trying to settle on a career, and neither man gave much evidence of his future greatness until well into middle age: Darwin published "The Origin of Species" when he was 50, and Lincoln won the presidency a year later. Both men were private and guarded. 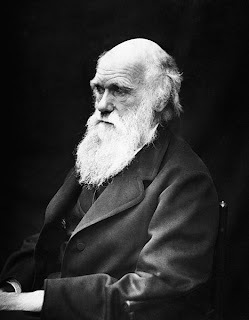 Most of Darwin's friendships were conducted through the mail, and after his five-year voyage on HMS Beagle as a young man, he rarely left his home in the English countryside. 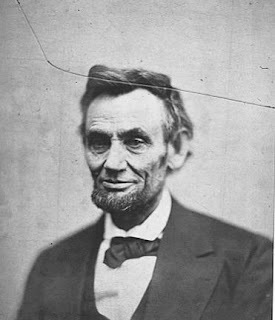 Lincoln, though a much more public man, carefully cultivated a bumpkin persona that encouraged both friends and enemies to underestimate his considerable, almost Machiavellian skill as a politician.